I did buy one ebook this week, which I've actually finished reading. It was Captives of the Night, by Loretta Chase. I read an excerpt for her newest book, but it isn't available as an ebook yet, and I wanted to read something light straight away, not wait for it to be delivered. This one was only £2.75 on kindle, so I thought, why not, and it was actually a really good mystery alongside the romance. This one might get a review soon. What have you guys been up to this week? What did you get in your mailboxes? So, with about ten days to go, depending on what time it is where you are now, and how long you intend to keep writing on the 30th, how is nanowrimo going for you all? I'm about five days behind where I should be with my word count. I broke through the 25 thousand word barrier yesterday! That means it's all downhill from here - the number of words I still need to write is smaller than the number I've written. Hurray! But the downside is that that took me 20 days. I now only have ten to go. I also have the problem at the moment that my uni essays are due in just under two weeks, and for the last weekend in November, when I could be finishing essays, or catching up with nano, I'm going to be away with friends until bedtime on Sunday. I don't want to get sucked in to thinking that Nano is like homework - needing to write 1666 words by midnight, OR ELSE. It should still be fun. And much as I'd like to, I don't want to be prioritising nano over that uni work. So, at the moment I'm trying to write something every day. Let's say at least 1000 words. If I can make the daily word count, or a little bit more, then that's great, but don't berate yourself too much if you can't make it. Writing should be fun. It's not homework. How are you doing with your word counts, fellow wrimos? Welcome to another week of In My Mailbox! 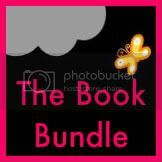 Hosted by Kristi at The Story Siren, IMM is a way to show people the books you got this week. As usual, please check out the other posts we've shared this week - we love to hear your comments! This is a slightly sleepy IMM, so please forgive the occasional pauses and confused looks. It was a long day. Description: Meet the Caldwell Sisters. Reeling from their mother's untimely death, Jane, Allison and Margo Caldwell each go searching for answers... and for their missing father. Treachery, traps and temptation abound in this thrilling contemporary romance trilogy. My Thoughts: As each of these books is a short novella (around 80-90 pages each), and I don't have overly much to say, I thought I would review the series as a whole in one post. Please let me know if you like this style of review. At the beginning of Hold Me, Lucianne Rivers gives us the reason for the series: the three sisters are meeting their attorney to hear the reading of their mother's will, and it's revealed that the father they thought was dead is alive somewhere. The recently deceased Candace has left a quarter of the estate to him, and a quarter to each daughter, with their family home going to whoever finds their father first. The sisters hire a private investigator who finds two men who could possibly be Zach Caldwell, and Hold Me follows Jane as she sets off for Guatemala to track down one of them. The first thing that struck me as we got in to the story was how ridiculously naive Jane is about travelling. I like to travel, I usually travel alone, and as a young solo traveler I think I can relate to some of Jane's feelings and experiences on her trip. But I have to be honest and say that when I was travelling after high school, 18 years old, I had more travel-smarts than Jane does. By a long way. Firstly, she gets off a plane and makes her way to the bus station where she has no idea when the next bus is, or how often they go. She seems to have assumed that she won't have to wait, because she's not expecting to be in town for the night. I could forgive the bus timetable part if it was a last minute trip, but this is two weeks after the reading of the will. Plenty of time for her to plan how to get to her destination. Surely she could have worked out that she would need a room for the night. Enter 'Harrison', who does sound very tasty, and luckily for Jane really is a decent guy coming to her rescue, because she needed a break. The attraction between them is clear almost straight away, but he holds back, worried he's taking advantage of her, and for other reasons. When they both finally do decide to investigate what's between them, I thought it was very sweet. It's been a while for both of them since previous lovers, and they are both very concerned about each other all the time. I liked the way that part of the story turned out. However, Jane's naiveté is shown again and again in the story, and it really annoyed me. She's supposed to be a news reader, she's the one in the family who lives in the city - she should be a lot more sensible than she is, and I couldn't believe some of the situations she walked in to. In Thrill Me, it's Margo's turn, and she goes to the Virgin Islands, where she quickly meets Adrian. His cousin, laid up in hospital, gets him to take over delivery duties to some of the local islands, and luckily, this is the boat Margo has been recommended to take to see if her father is living on one of those islands. I think this is my favourite of the three stories. Margo is a police detective, used to being 'one of the guys' at work, and described later by her sister as 'a serial dater'. Adrian makes his living from the tourists with his own boat, and is seriously hot to boot, but has been with his newly-ex girlfriend since they met in college. Things start well on the boat, with their flirting moving quickly to other things, but then it turns out that Adrian's cousin hasn't just been making grocery deliveries with his boat, and Margo and Adrian are in very hot water, very quickly. I liked the speed of this one, and the characters themselves. 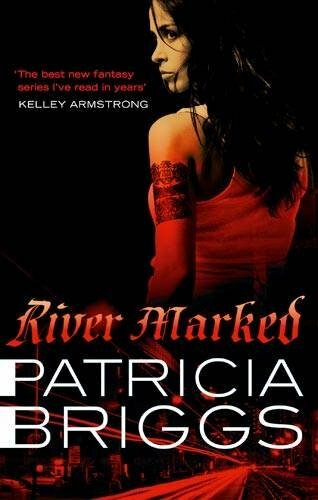 Finally, in Entice Me, Allison goes to Afghanistan with private investigator and retired navy SEAL Robert Rivera. Robert knows how dangerous the area they're going to is, and won't let Allison go by herself. Of course, being in a room together for propriety's sake, they end up with more than just the business partnership. I had a few issues with the realism of this story, but I do like how the romance comes out. I don't really like stories where characters are madly in love after knowing each other for just a couple of days, but I guess it's one of the things that often comes with a novella. Ignoring that, the Caldwell Sisters trilogy is a sweet romantic series that was a nice light read. The action was enough to keep me reading and the pacing is good. I'll give this series 7 stars. Notes: book 6 in the 'Mercy Thompson' series - review may contain spoilers for earlier books. Description: Car mechanic Mercy Thompson has always known she was different, and not just because she can make a VW engine sit up and beg. Marcy is a coyote shapechanger, a talent she inherited from her long-gone father. And she's never known any others of her kind - until now. 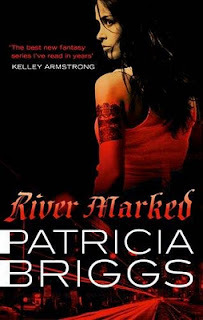 As Mercy takes in this new situation, an evil is stirring in the depths of the Columbia River. Something deadly is coming, facts are thin on the ground, and Mercy feels ill at ease. However, her father's people may know more. To have any hope of surviving, Mercy and her mate, the alpha werewolf Adam, will need all the resources the shifters can offer. Or death will be the least of their worries. My thoughts: This is a series that I've enjoyed a lot so far, and I've been looking forward to reading this book. It's a little bit different from some of the others in that there's a lot of Mercy & Adam on their own, and not so much of the pack, or other groups of people that we've come to know, like the local vampires or fae. I know some people were a bit disappointed by this, but having finished the book now, I'm actually ok with what we do get. The very start of the book sees Mercy arriving at Stefan's house to find out why he hasn't been returning her calls, and to drag him to 'Bad Movie Night'. Stefan is having a hard time from what Marsilia did to him in the previous books, and we only see a little bit of him in this book, but I think it's something that needs a little while to develop - Stefan needs time for things to change, and these books often only last the space of a couple of weeks, so although there isn't much development of 'what's-up-with-Stefan' in this book, I think that's much more realistic. The movie night gave me just enough of my Kyle & Warren fix to get by - I absolutely love the interactions between those guys, Mercy, and the pack. "Argued with your back fence neighbour," said Adam, his voice very gentle. "And watched him when he wasn't looking," I agreed. "Because every once in a while, especially after a full moon hunt, he'd forget that I could see in the dark, and he'd run around naked in the backyard." He laughed silently. "I never forgot you could see in the dark," he admitted. This book sees a lot more about the native american side of Mercy's heritage. I felt like the plot was a little bit slow sometimes, but it was very interesting. People keep going missing near the Columbia River, and Uncle Mike wants Mercy & Adam to have a little look, and find out more. I thought it was an interesting 'bad guy', but not as good as ones from previous books. My overall feeling for this book is that it was really good for showing us more of Mercy and Adam learning to live together as a mated couple, and the challenges that involved. They still have a lot that they need to accept about each other's personalities, and this story gives them a chance to do that to some extent. I wasn't as keen on the mystery side of the plot, but it was still a very good book overall. For the next book, I hope there is more time with the pack, and maybe how it's influencing them to have Mercy there too. I think I'll give this book 8 stars over all - a bit slow sometimes, but I really liked it! I was lucky enough to receive a copy of this book from the publisher. Thank you to St. Martin's Press for the opportunity to review it even though my review is a 2 months overdue and this book was released back in September. Oh well, I will still review it. I've noticed a new trend of young adult novels heading to the regions of space and space travel because the earth has long since died. 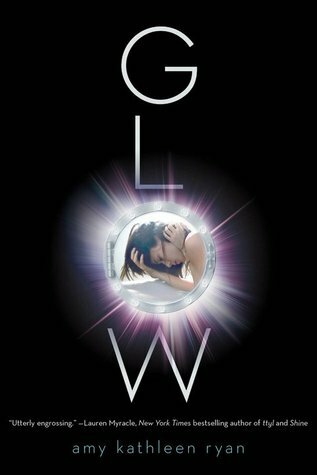 At first I wasn't too excited about it but after reading a few (2 out of 3 of them I've read, I've liked) and Glow so far is in that "like" category. First off, the story line is intriguing. I couldn't stop thinking about it as I read the book. What was going to happen next? How were these characters going to survive all this that they were going through? Basically, as I read it, it is a very much so thrown-into-the-action-coming-of-age-story. The characters: Kieran, Waverly and Seth all have so much that they must do to overcome the obstacles that are thrown at them from the very beginning. From Kieran proposing to Waverly, to Waverly not knowing what she really wants from life aboard the Empryean, to the attack that changes all of their lives for good. I thoroughly enjoyed it. The characters are enjoyable to read. I didn't like so much to read from Kieran's point of view when it came along, I much more enjoyed Waverly's. She is such a down to earth but strong personality young woman that certain parts of her person were relatable. It's also much easier to be able to put yourself in a girl's shoes when reading when you are a girl. Kieran and Seth were, in my opinion, similar as in they both really wanted to help Waverly, but both opposite ends of the spectrum. Kieran, the captain to be of the Empryean and Seth, the kid who no one really understands. The struggle for power and the resistance to each other throughout the ordeal is really what makes this "love triangle" with Waverly more interesting. I like how the author dealt with Seth as the get things done in order to survive style, even if it means picking on the weak ones to make a point and how Kieran comes to when he is put in charge and even is able to lift that small spark of hope to one that is large and forthcoming. What was interesting in this book is that it takes place on two identical ships. The Empryean and the New Horizon. Both ships heading to a New Earth because our current earth and its resources were depleted and humanity needed to survive. But the struggle doesn't lie within getting to the new planet. It's within its people and the ranks and sharing survival skills. Survival of the fittest really gets a new meaning in Glow. I thoroughly enjoyed the story. Each turn took you in a different direction of trust. Who could you trust? When? It's a good story of survival and hope that will keep you guessing to the very end. Even then, you still don't know who to turn to anymore. Welcome to this week's In My Mailbox! IMM is hosted by Kristi at The Story Siren. No vlog again this week, because although I got a couple of ebooks to review, I don't have any pretty paper copies to hold up. I'm expecting a couple of books though, so, fingers crossed, next week will be the interesting week! I can only apologise again for not posting more reviews. I've just had a really busy week with trying to keep up with my uni work and nanowrimo - being ill for a couple of days this week didn't help either. This one is a romance, I think, set in a small town near Christmas time. Cassie's old flame moves back, but he broke her heart once, so who knows what might happen now he's back? I'm looking forward to reading something sweet. This one comes out on November 15th. 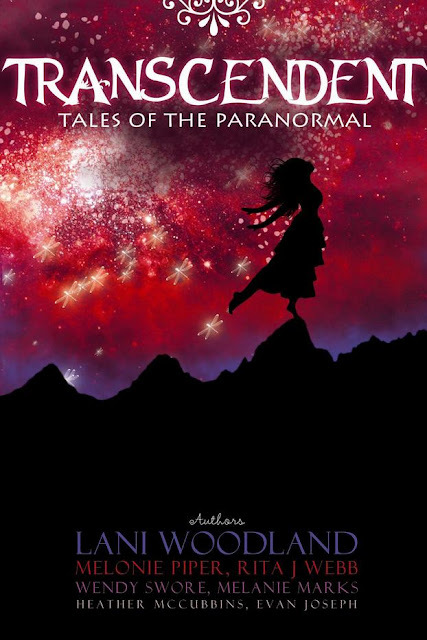 I'm a little confused of what this one is about, because the blurb didn't really give much information, but it's described as 'paranormal' and there are vampires, so fingers crossed I'll like it! This one is out on the 6th of December. Thanks to Avon Impulse for both of those! If you missed it, Jess posted a review of 'Glow' yesterday, and Sera is hosting a givaway of 'Saints Astray', by Jacqueline Carey, on her blog - you can scroll down the main page for both of those. What did you get in your mailbox this week? I love seeing them, leave your links in the comments! Through a stroke of blind luck, I am currently hosting a giveaway on my blog for one SIGNED copy of Jacqueline Carey's newest book Saints Astray. Jacqueline Carey is the New York Times bestselling author of the Kushiel Saga as well as the Sundering duology. She is phenomenal! In addition to the book giveaway, I'm also hosting a contest inspired by Thanksgiving and NaNoWriMo. I'm asking everyone to submit a paragraph telling me what they're thankful for and why. The ones that are the most inspiring, funniest, and all-around awesomest will be posted on my blog on Thanksgiving morning. Anyone who wants to enter, just fill out the form on my blog. And spread the word if you know anyone who might be interested! Thanks, everyone! And good luck! So, we're 5 days in to Nano, and I thought I'd best do an update before my week gets busy again. I've actually found things to be going well so far, word count wise. There was a little blip on Thursday where I was busy doing other things and sort of forgot to write things until it was past midnight, but I got a little bit caught up on Friday, and then did the rest of my catching up today. I'm currently about 200 words ahead of target, which gives me that tiny bit of wiggle room. I have to say, I think this is the best start I've ever had. If you're falling behind a bit - don't worry! This is only day five! There is still the rest of the month to catch up! And it's the weekend - this is the traditional catch up time. If there's a local group near you, it can be quite encouraging to sit and write with other people who're taking on the same challenge - I find it's good motivation to keep reaching the daily goal. How are things going? Do you have any handy tips or tricks for making your word count, catching up, or just staying motivated? 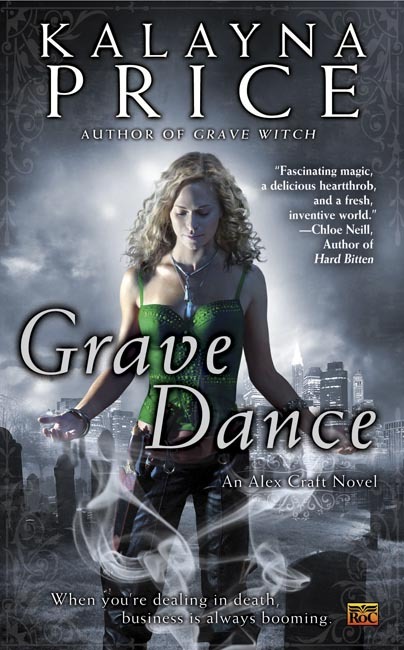 After a month spent recovering from a vicious fight with a sorcerer, grave witch Alex Craft is ready to get back to solving murders by raising the dead. With her love life in turmoil, thanks to the disappearance of Fae Investigation Bureau agent Falin Andrews and a shocking "L"-word confession from Death himself, Alex is eager for the distraction of work. But her new case turns out to be a deadly challenge. The police hire Alex to consult on a particularly strange investigation in the nature preserve south of Nekros City. The strange part: There are no corpses - only fragments of them. A serial killer is potentially on the loose, and Alex has no way to raise a shade without a body, so she'll have to rely on the magic of others to find leads. 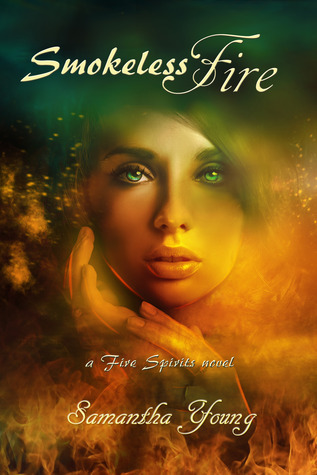 But as she begins investigating, a creature born of the darkest magic comes after her. Someone very powerful wants to make sure the only thing she finds is a dead end - her own. My thoughts: I loved the first book in the series, and the second book kept up the high standards. 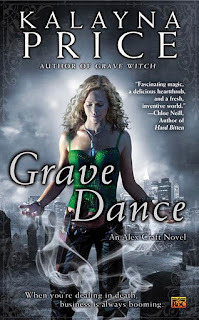 Overall, I do think I prefer to 1st book, Grave Witch. There is a little too much build up to pain in this book - one of the situations being built up in this book can not end well for the people involved, and I don't want to see the characters get hurt as it unfolds. I'm looking forward to book 3, but I am a little apprehensive about how much emotional pain might be in store for Alex. I love the mystery element in this story - they keep finding left feet everywhere, and no bodies or right feet. I won't be able to think of someone dancing 'like they have two left feet' without thinking of this book any more! I'm sure most of you have heard of NaNoWriMo, but if not, it's short for National Novel Writing Month, and you can find out more about it here: website. I'm participating for the 4th or 5th time this year (I can't actually remember when I started), but I'm hoping that this year will be the one where I succeed! The big reason why I haven't made it to 50k in the past is that I get somewhere where I realise that I have to think about the plot more before I can carry on. And some plot things for me take a while to cook in my head. This year, I'm trying to do two things differently. Secondly, I'm going to try and be a bit more relaxed about putting things in that don't seem strictly necessary - I'm going to try and be flexible about when things happen, and random things popping up. The big one I can think of is flashbacks - a lot of important things for my main characters have happened just before the story starts. If I need to reach my word count one day, I'm thinking of adding in a flashback to certain key points in those events. Are any of you doing Nano this year? What are your strategies, if you have any? Would you be interested in talking about our progress here on the blog as the month goes on? If anyone wants to be 'buddies' on the nano site, my username is 'dragon-girl' - a leftover from my 16 year old self thinking it was an excellent and original pseudonym on the internet.